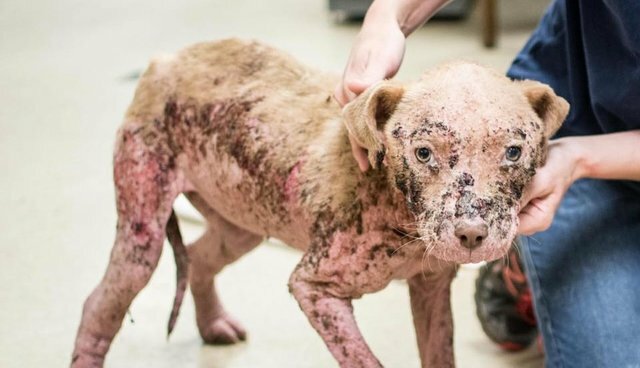 When little Kooky was brought to a shelter in Georgia, she was so sick with mange that she had absolutely no fur left. 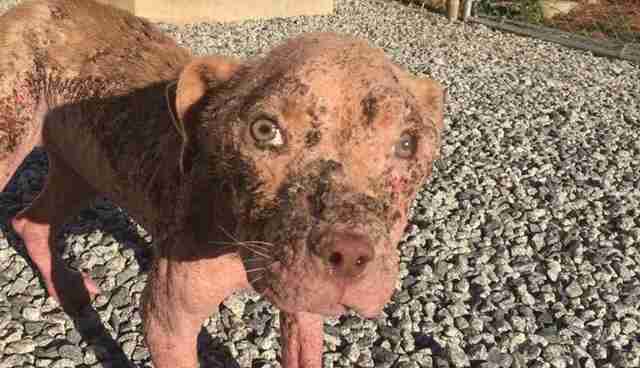 Along with mange, Kooky was suffering from other secondary skin infections, making her skin raw, bloody and inflamed. The 1-year-old dog looked like she might not make it - until someone finally noticed her. 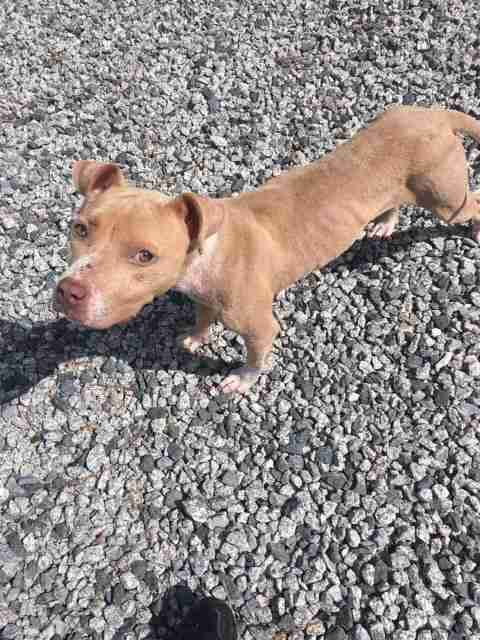 Second Chance Rescue NYC was able to pull Kooky from the shelter and into a private facility near its local vet partners, where she could get the treatment she so desperately needed. 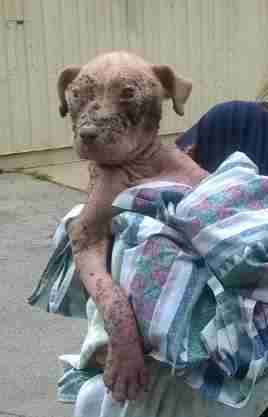 But while being treated for mange, she suddenly became very sick and had to have a blood transfusion. "It was suspected she ate rat poison, as she was scouring for anything she could find to eat," Kelecy Kimmerer of Second Chance Rescue told The Dodo. No one is sure exactly when Kooky ingested the rat poison, but luckily they were able to treat her in time to save her life. Today, Kooky is looking and feeling worlds better. 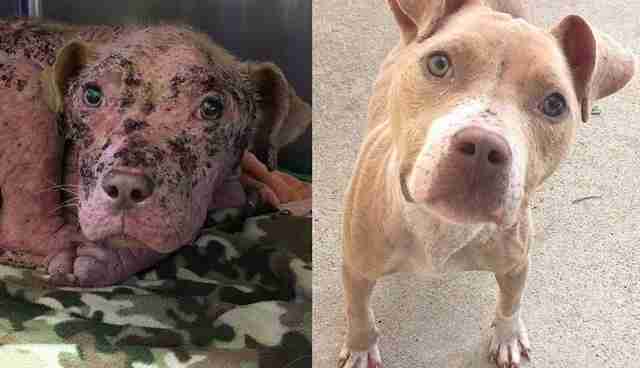 While she's still healing from the suspected poisoning, her skin is back to normal, and she looks completely different from the sick, scared dog she was when she was rescued. "Now that she's bloomed into a beautiful girl she's looking for her fairy-tale ending," Kimmerer said. Kooky is currently in the process of being transferred to New York, where she will be up for adoption. After all this girl has been through, she deserves to finally have a loving forever family. If you'd be interested in adopting Kooky, you can contact Second Chance Rescue NYC to learn more.